French press is one of the easiest, least time-consuming ways to enjoy gourmet coffee at home. 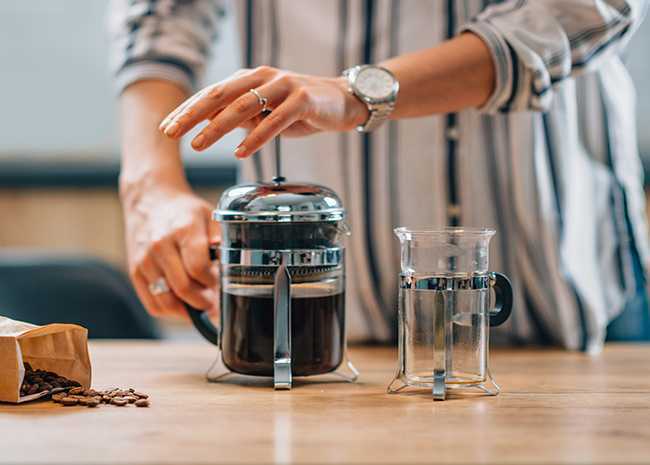 However, there’s this stigma surrounding this brewing method that leads many people to believe that French press coffee makers are only for home baristas who have special skills and knowledge in making coffee. It may seem intimidating at first, but it ain’t rocket science. In fact, it’s actually easier than you think. Use these tips to make the best French Press coffee at home. You just bought a French press coffee maker and a grinder. You have everything you need to make a great cup of coffee. The question is, do you have the right beans? To brew a great-tasting cup of coffee, you need to start with fresh coffee beans. You can invest on top-of-the-line coffee equipment, but the coffee beans you use will have a significant effect on the end product. Go to your local roaster and buy the freshest, best quality coffee beans you can afford. If possible, skip the supermarket coffee. Coffee loses its aroma, flavor, and character over time. Although some will remain good for about 3-4 weeks, it is best to buy coffee in small batches. Freshly ground coffee is better than pre-ground coffee. While pre-ground coffee is convenient, the end result is coffee with lackluster taste. Grinding kickstarts the oxidation process. Through oxidation, certain desirable aroma and flavor compounds are released from your coffee beans. Grinding the beans early hastens this unfortunate consequence. Pre-ground coffee is similar to a bag of half-eaten chips. The chips will go stale and lose their crunch the longer they sit in your pantry. The same thing happens to pre-ground coffee. As such, we highly recommend that you grind your coffee right before brewing. Make sure that you grind only what you need now. It is also best to invest in a good quality grinder. The last thing you want is to have fine and coarse grind in the same batch. The fines that may sneak through the filter and lead to over-extracted coffee. Follow these tips and you’ll be one step closer to paradise in a cup. Pre-ground coffee are designed for the mass market. 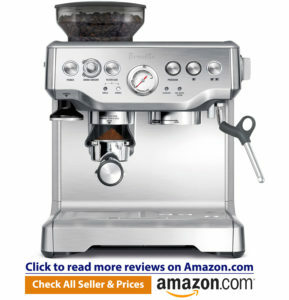 It is ideal for making espresso-based drinks. But if you prefer French Press coffee, you should stay away from it. Grind size is very important when brewing coffee. When you buy pre-ground coffee, it is usually a fine grind size. This won’t work well for French Press. If you do, you’ll have a hard time pressing down the plunger. Plus, it will seep through your coffee, making it muddy. You should always match the grind size to your desired brewing method. The grind size affects how quickly the water will flow through the coffee. French press coffee calls for a coarse, even grind. Your grind should be the consistency of sea salt. If you can push the plunger with absolutely no resistance, you know the grounds are too coarse. If you want to make the perfect cup of French Press coffee every time, then you need to measure the ingredients accurately. Use a scale to measure your ingredients to ensure you have the correct coffee-to-water ratio. Since coffee beans’ densities vary, the most accurate way to measure is by weighing it. If you measure coffee grounds by volume, you will notice that the measurements aren’t accurate. The discrepancies may seem like a small thing, but it can have a significant effect on the taste of your coffee. With a kitchen scale, all inconsistencies are put right to bed. There is no “gold standard” for measuring ingredients. It depends on your personal taste and preference. Once you have found the perfect ratio, stick to it. Weigh your grounds and water using a kitchen scale every time you make a batch of coffee. This way, you can ensure that you get the best French press coffee possible. Brew time has a significant effect on the strength of your coffee. For a robust brew, French press coffee should be brewed for 4 minutes. Have a timer ready and press start once you begin to add water. You can use a kitchen timer or your smartphone to set the time. Stir the brew using an up and down motion. Then, push the plunger all the way to the bottom once the timer goes off. Nothing is better than freshly brewed coffee. Pour your coffee immediately in your favorite mug. Don’t let it sit. If you leave the coffee in the coffee maker after brewing, you may end up with bitter, over-extracted coffee. Why? Because it will keep brewing even though you have push down the plunger. Sometimes, people make a huge batch of coffee because they don’t have enough time to brew for a second batch. If this is you, we recommend that you pour the remaining coffee in a thermos right away. This will not only ensure you get perfectly brewed coffee, it will also help keep your coffee warm for your refill. To ensure quality in every brew, clean the French press coffee maker after every use. Otherwise, you run the risk of stains and smells that will taint your coffee. Old oils from your coffee will get stuck in your carafe and go rancid. This will have a negative effect on the flavor of your brew. Also, some grounds may get stuck. Dig out the grounds using a spatula, a wooden spoon or your hands and dump them in the garbage. Disassemble the coffee maker and wash thoroughly.